This entry was posted on December 22, 2015 by Y Hasegawa. In all, Joyce has now ordered 4 Custom Sized Kakebuton for her home! 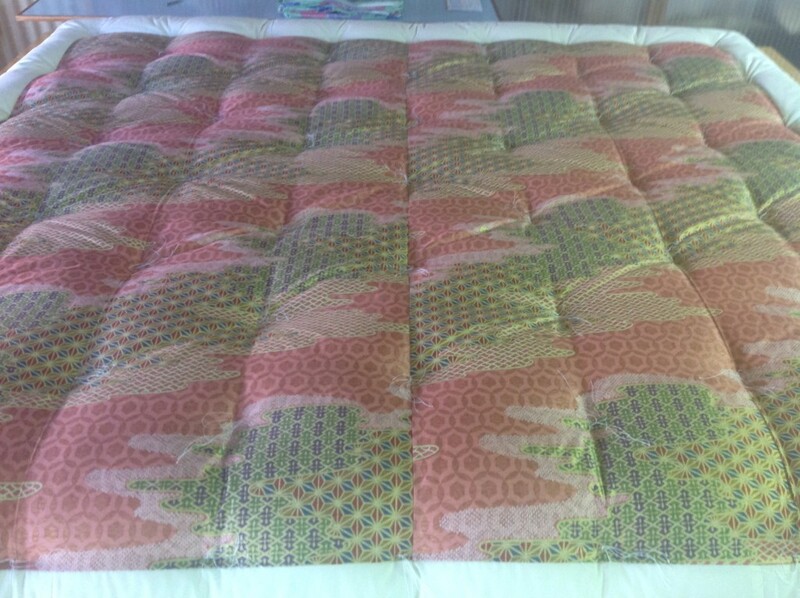 When Joyce first contacted us, she was wanting a custom made futon to fit a large U.S. King sized bed. She gave us the finished dimensions she wanted. As it turned out, this eventually became the largest custom kakebuton anyone could remember doing! 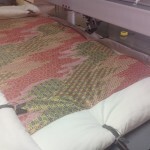 It required extra steps using additional clips to hold the cotton correctly in place while the kake was being quilted and sewn. I was told they actually had to climb inside to get the cotton to the corners! Apparently we got it right (as she put it, "the craftsmanship was perfect!) . . . because she eventually ordered 3 more (though not so big!) for other beds in her home. Joyce was a complete pleasure to work with. When doing custom sizes where the finished dimensions must be accurate, it can be a bit nerve-wracking on our end as we have to be extremely meticulous about the dimensions and make sure everything is accurate. Joyce was extremely helpful and patient through the process. Custom sized kakebuton for Joyce S. When this was being made, it required extra steps (and hands!) because it was so large. 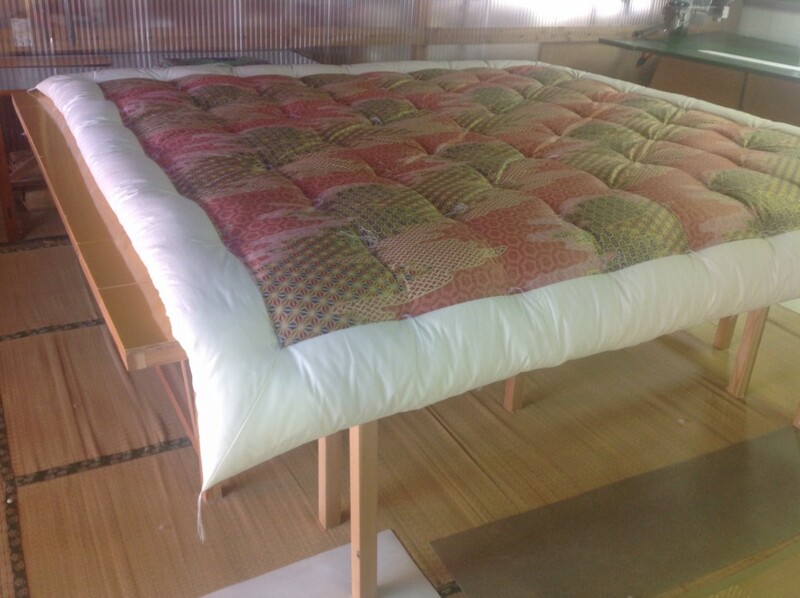 Custom sized kakebuton for Joyce S. It was so large it hung over the largest size table they have at the factory!.